Of all the natural disasters we encounter around the globe, a hurricane is one of the ones that can actually be planned for ahead of time. From homeowners to larger businesses, anyone who has been involved in hurricane preparations understands how important, and often life-saving, it is to have a generator on hand. CAT generators and hurricanes are certainly on opposite ends of the force spectrum. One providing negative force that brings destruction and the other, a positive force that brings good. Despite their differences, however, CAT generators and hurricanes have a lot in common, proving that this pair of opposites can work together in harmony. What do CAT generators and hurricanes have in common? Maybe this isn’t something you’ve ever thought of asking, but there actually are some commonalities between the two. A hurricane can pack a punch. The same can be said about a CAT generator. The power that a hurricane brings can be matched by what a CAT generator can handle. Having the right size generator for the job can provide power that is crucial for home use, medical facility needs, emergency rescue assistance and more. A CAT generator is built tough and can carry the load of whatever nature delivers. Hurricanes are seasonal and, unless it is being used as a primary standby power source, CAT generators are used seasonally as well. They’re like that tool in the toolbox you don’t always need but you’re so glad it’s there when you do. Shopping for a CAT generator before disaster strikes can help you avoid the chaos when everyone is scrambling during an emergency situation. Proper preparations for hurricane season can make the difference in the wake of its potential impact. While a hurricane is not something we look forward to, those who live in hurricane country approach hurricane season with an assurance that a storm will come. One of the most devastating fallouts from the aftermath of a hurricane is loss of electricity. With the certain arrival of a hurricane, one can depend on a CAT generator to earn its keep when emergency power becomes a need. Where we can depend on the hurricane to knock it out, we can depend on a CAT generator to bring it back. After the devastating effects of Hurricane Harvey, CAT generators were a critical force in helping victims ride out the storm. When making the decision to add a generator to your hurricane prep list, consider whether your needs will be best met with a portable unit or a larger, more permanent system. Whatever your choice, there’s a CAT generator to keep your home powered up or your business running without service interruption. Come what may, CAT generators are here to stay. There is so much comfort in having access to emergency power during a storm. 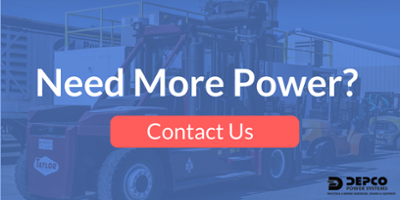 Contact us today and let us help ensure you have the dependable power you need for hurricane season.